Are the Twins, A's and Nationals for real? The Twins, Athletics and Nationals have toiled at the bottom pretty much all year, but each has turned it around, suddenly making us wonder if they're legit, or if their current state is just an anomaly. Wire Taps: Washington Nationals Get Day Of Rest Before Seattle Mariners Come To D.C.
• Your Daily Message From The Dalai Lama On Twitter (@DalaiLama): "If you treat people as brothers or sisters, they respond accordingly." 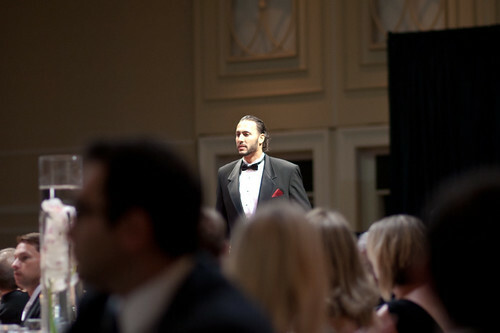 Bet you a dollar Michael Morse had his Beast Mode t-shirt on under his tux during the Nationals Dream Foundation Gala Saturday night. Off day today for the Nats, and the .500 dream will just have to wait until at least Wednesday against the Mariners; and with the Mariners in town, please don't forget to give thanks for that June 2009 Ryan Langerhans-for-Michael Morse trade. Thank you, Mariners. If you're bored and looking for something to do today, go over and write in a vote for Michael Morse for the All Star Game here. Over the weekend, Nationals Park was more packed than it has been at any time this season. The series attendance total for Nationals-Orioles came to more than 107,000. Sunday, cars were parked on the roof of the garage out beyond center field, a rarity and a sign of a large crowd. The presence of all those fans thrilled at least one Nationals player. “I thought it was awesome,” Jayson Werth said. The big crowds over the weekend, of course, had as much to do with the opponent as the Nationals’ recent surge. This is an estimate, but judging by crowd noise and the colors in the stands, it seemed like about three-quarters of Sunday’s crowd was Nationals* fans. And as for those cars on the roof, folks from Baltimore are more likely to drive than Nationals fan in D.C.
Wire Taps: Washington Nationals/B.J. Upton A Quick Review Of The Rumors. As far back as April 2010, when the Washington Nationals were casting about for a replacement for then-recently-released right fielder Elijah Dukes, Tampa Bay Rays' outfielder B.J. Upton's name came up in discussions, with MASNSports.com's Ben Goessling writing in a 4/3/10 article entitled, "As Nats enter the season, status quo in right field", that the Nats, according to a "club source", had reached out to Milwaukee (to ask about Corey Hart), Chicago (to talk about the Cubs' Kosuke Fukudome) and the Rays, though he wrote that the Nationals, "came away feeling Tampa Bay wouldn't part with the 24-year-old speedster [Upton] unless it was out of the AL East race this summer." Among the potentially available outfield options, according to Mr. Rosenthal, was B.J. Upton, though Tampa Bay was saying they would, "...not entertain moving Upton unless they fall out of contention," at which point Washington would, "...hardly will be the only team interested." The Nats, according to a source with the team who spoke to MLB.com's Bill Ladson's a day after the Rosenthal rumors went into print, were scouting Upton at the time, they admitted, but, as Mr. Ladson wrote, "The source pointed out that it was routine scouting that is normally done during the season. The Nationals have not had any talks with the Rays about Upton." Boston Globe writer Nick Cafardo's was next, reporting in the 4/21/11 edition of his weekly Sunday MLB column, "Baseball Notes", that "major league evaluators" had informed him that the, "Rays [will be] exploring a deal for Upton if they should fall out of contention, or even if they’re in contention," if they can, "...make a deal similar to the one they made involving Matt Garza, in which they received good talent, including Sam Fuld." In a May 31st blog post by MLB.com's Bill Ladson entitled, "Nats looking for center fielder, leadoff hitter", the Nats beat writer for Major League Baseball wrote that the Nationals were in the market for a center fielder/leadoff hitter, "... according to a baseball source, who also said the club [was] willing to overpay to get what they want." On June 5th, MLB.com's Bill Ladson reported that the Nats felt Rays' center fielder could fill that role in D.C. in a blog post entitled, "Nats continue to have interest in Upton", Mr. Ladson wrote that his sources were telling him that the Nationals consider Upton, "an excellent defensive center fielder" and, "according to the source, Nationals general manager Mike Rizzo believes a change of scenery would help Upton’s career." Last week it was FOXSports.com's Ken Rosenthal angering Nationals fan all over NatsTown when he talked Tyler Clippard to Tampa Bay in an article entitled, "Trade Thoughts: Rangers, Nationals", in which he wrote that Washington could, "...make a [B.J.] Upton deal work," if they were willing to part with, "...right-handed setup man Tyler Clippard and a young position prospect perhaps." But is Upton even available? "The Nationals, for one, want a young center fielder they can grow with. Many believe Upton will smooth out and be that guy. So is he available? All signs point to yes." Upton's posted a .216/.300/.361 line so far this season, down from .300/.386/.508 in '07, 273/.383/.401 in '08, .241/.313/.373 in '09, .237/.322/.424 last season, and .256/.341/.408 on his career. Upton's BABIP's fallen from .393 in '07 to .344 in '08, .310 in '09 and .304 in 2010 to .262 this season. The '02 1st Round pick, taken second overall that year, did hit 18 HR's last season, the second-highest HR total of his career, and he did steal 42 bases in 51 attempts. A +5.0 WAR in 2008 dropped to 3.9 last season (Roger Bernadina was worth +0.5 WAR in 2010, Rick Ankiel +0.8), and this year Upton's played at a +0.5 WAR to the Shark's +0.3 WAR and Ankiel's -0.1 WAR. "One man’s opinion: The Nationals will emerge as a major suitor for Fielder. There’s an amiable relationship between them and Scott Boras, they need a big-name power hitter, and they are an emerging team with Bryce Harper, Ryan Zimmerman, and Stephen Strasburg. The Nationals are the "team of the future’’ and at age 27, Fielder is still a young man who can put people in the seats." The Nationals' big test begins now: Eight-game winning streaks become products of momentum. But how do you respond when the streak ends? Washington will have a chance to find out in Tuesday night's series opener against the Seattle Mariners, always a tough Interleague foe. "You don't deserve to win when you play like that." Battle of the Beltways 2011 ends in a draw. Orioles 7, Nationals 4: Winning streak dead at 8, .500 dream deferred for another day, thanks in no small part to Tom Gorzelanny and the defense. 4.2 IP, 10 H, 1 BB, 5 R, 4 ER: was that Tom Gorzelanny, or Yunesky Maya?